Northern China stands one of the most important regions in world history. The fertile loess lands of the Middle Yellow River valley were among the world’s first regions to witness the Neolithic Revolution and the rise of complex societies; the Yangshao and Longshan cultures developed in the heart of northern China during roughly 5,000-2,000 BCE. By the end of the first millennium BCE, the small states that succeeded these early cultures had grown through nearly constant conflict into major powers. Eventually, the state of Qin succeeded in uniting not only the whole of the Yellow River valley, but nearly all of what is today the modern country of China into one single polity. This was quickly supplanted by the Han Empire, which, for over 200 years, became one of the largest and most successful imperial powers in history. 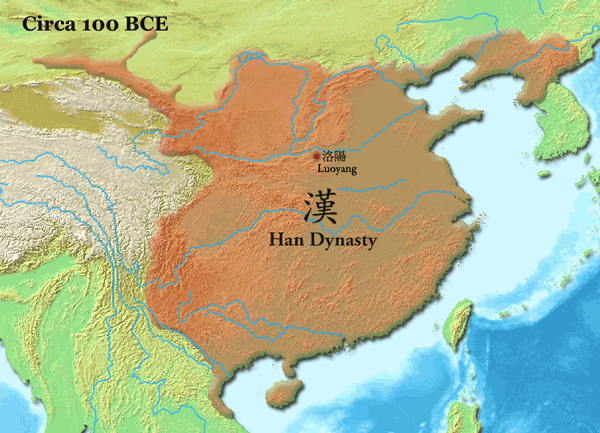 The Han Empire was followed by a long period of cyclic of growth and decline, of stability and warfare, of great heights but also deep valleys in China’s social, legal, economic, and cultural feats. The country saw civil wars and conquest by invading peoples from Mongolia and Manchuria, but also experienced new zeniths of power and achievement under the T’ang, Song, and Ming dynasties. 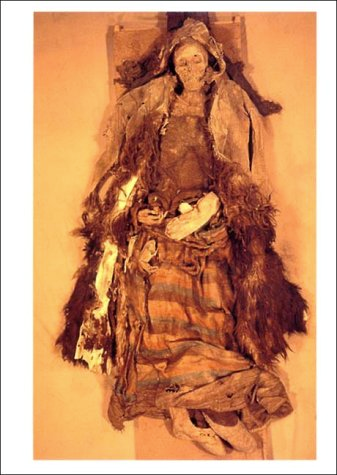 Mummy from Tarim Basin, northwest China From Mallory, J. P., and Victor H. Mair. 2000. The Tarim Mummies: Ancient China and the Mystery of the Earliest Peoples from the West. New York, N.Y: Thames and Hudson. Getting a handle on the entire 7,000+ years of Chinese history is no easy task, but it is extremely important both to draw out the patterns that led to the rises and falls of the different Chinese dynasties as well as to place China in a broader picture of world history. Each of these goals are being pursued by the Seshat: Global History Databank. This involves gathering as much information about Chinese history as is available concerning a variety of topics, from climate and agricultural practices to political and legal institutions, the changing intensity and consequences of warfare over time, economic performance, and key cultural traits. This task is made even more difficult by the fact that Chinese history is often conducted in discrete chunks of time; some scholars work on the material record of the earliest Neolithic and Bronze Age cultures, others on the conflicts of the Iron Age or the first imperial formation under the Qin-Han, and still others on the Medieval Dynasties, and the ‘conquest’ states of the Khitan, Yuan, and Qing rulers. To facilitate linking these histories, Seshat hosted a workshop bringing together experts on different periods and different topics of Chinese history. 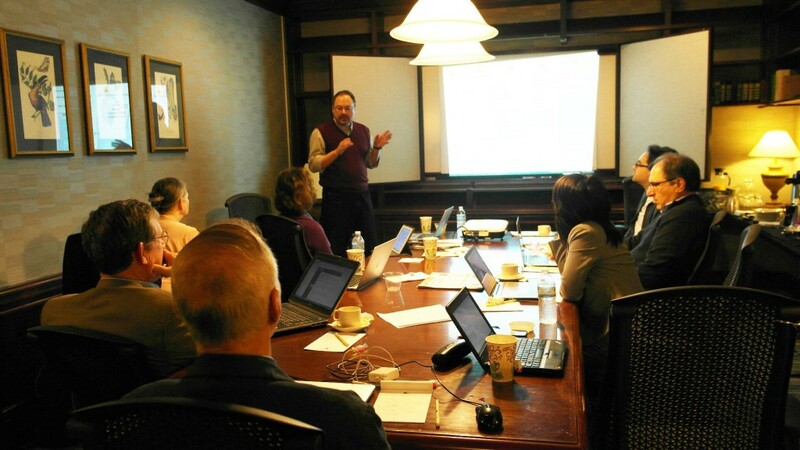 The 2-day workshop was held in Tampa Bay from January 16th and 17th. In attendance were several renowned anthropologists, archaeologists, and historians of China; Prof. Victor Mair of the University of Pennsylvania, Prof. Peter Bol of Harvard University, Prof. Constance Cook from Lehigh University, Dr. Gary Feinman from Chicago’s Field Museum of Natural History, and the University of Toronto, Mississauga’s Prof. Liye Xie. We were fortunate to be joined also by Dr. Paula Sabloff, an anthropologist and archaeologist from the Santa Fe Institute, who has been coordinating an archaeological database (which is in the process of being linked with the Seshat Databank). Daniel Hoyer, Jill Levine, and Peter Turchin represented the Seshat Databank. The workshop was tremendously productive. During our conversations, the experts were able to seamlessly navigate back and forth throughout China’s vast history as we picked their brains for information we could input into the Databank. We touched on numerous topics, including archaeological method and the limits of material evidence, long-term dynamics of particular political and legal systems, the impact that certain cultural/ philosophical developments had on Chinese society, as well as how well different segments of the population fared in their overall quality of life at different points in time. 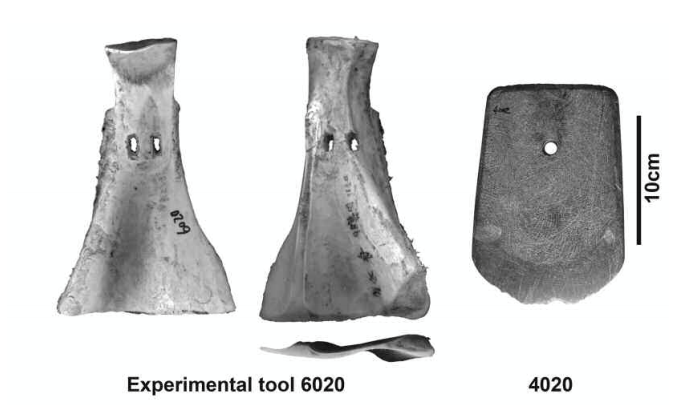 Neolithic Stone Tools From Xie, Liye, Steven L. Kuhn, Guoping Sun, John W. Olsen, Yunfei Zheng, Pin Ding, and Ye Zhao. 2015. “Labor Costs for Prehistoric Earthwork Construction: Experimental and Archaeological Insights from the Lower Yangzi Basin, China.” American Antiquity 80/1: 67–88. 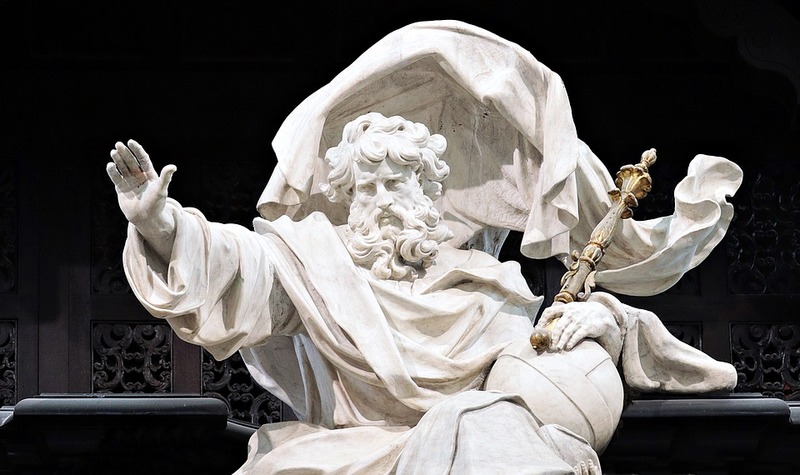 The ease with which the experts in the room were able to switch gears from one topic to another, between time periods, and the overall breadth of their knowledge was truly remarkable. Even more remarkable was how instantly and completely everyone in the Tampa hotel conference room fell into a collaborative mode. Being asked to sit around a table, deliberating about particular aspects of a society, or discussing the limits of our knowledge about an area as intricate as northern China is not an easy nor a common practice for historians. Yet, the experts at the workshop worked together amazingly well together. There were disagreements but no ad hominem arguments, differences of expertise but curiosity and engagement with unfamiliar topics, and overall a very collegial and amicable atmosphere. We left Tampa with dozens of pages of notes that we will now translate into data to put into the Databank, while receiving also verification for much of the information we already had as well as a general sense that our methods and approach will be a welcome addition to the study of Chinese history. Overall, then, quite a successful workshop. It went so well, in fact, that we now plan to use this as a template for future meetings on regional history. For more information about on Seshat’s North China Workshop check out Dr. Gary M. Feinman’s reflection on the day.